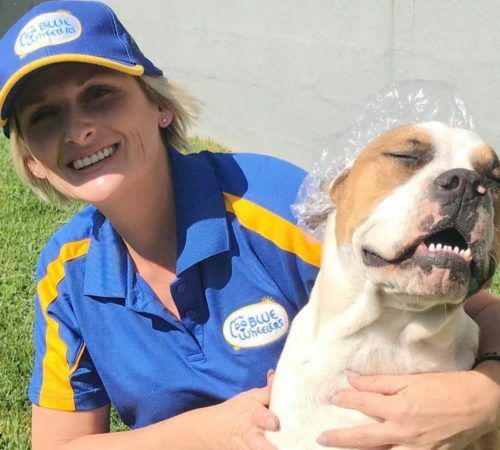 I love being part of the Blue Wheelers team – living the dream washing and grooming dogs of Shellharbour and the surrounding areas. My number one tip for pet owners is to have your dog professionally groomed on a regular basis, it makes it coat maintenance so much easier and also helps your pet get used to the process so they can relax and enjoy their pampering. If you live in Shellharbour 2529 or the surrounding region and want to book your best friend in for a little bit of pampering or just wash and tidy, please fill out the booking form. I can’t wait to meet you and your dog. My favourite thing about being a mobile dog groomer is that I get to work with gorgeous dogs all day in my local area and feeling like I have made a difference to the dogs and families I groom for. I have always been really passionate about animals and I have been around dogs my whole life. 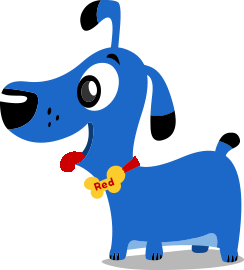 I decided to join the Blue Wheelers team because I love helping people and keeping their dogs looking and feeling great. This will bring a lot of satisfaction and enjoyment to my work day. I’m also looking forward to the freedom of running my own business. I love all dogs big and small, but if I had to pick one favourite breed it would have to be Staffies, they are just so family orientated and like to be little helpers following you around no matter what you are doing. They are incredibly sweet, loyal, loving and want to be your best friend. I have 4 dogs at home and I have to say they are simply amazing and gentle souls and keep us entertained on a daily basis with their antics. 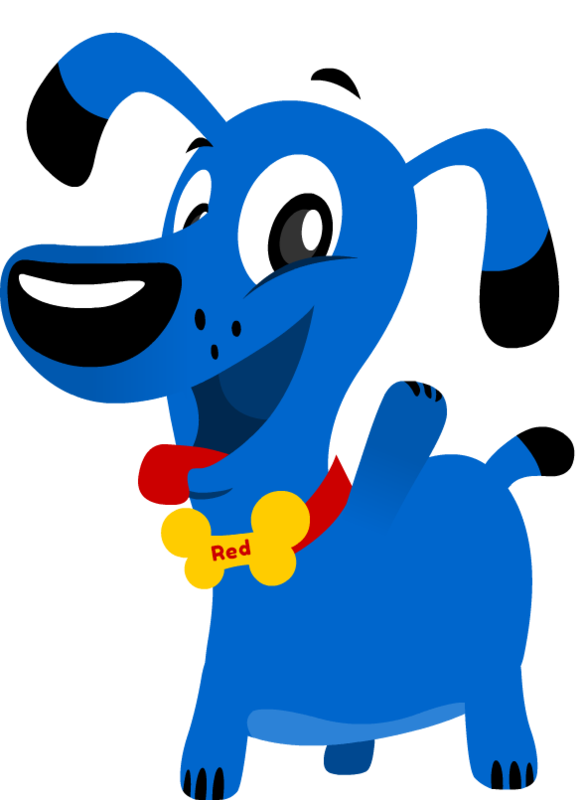 My Blue Dog name is Andy and I didn’t choose his name, it already had it but it’s actually my husband’s name as well so maybe it was just meant to be. 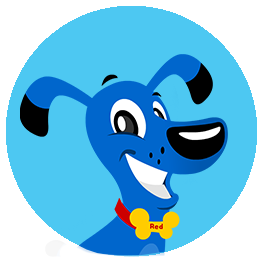 Before working as a dog groomer I worked in various customer service and administration management roles. 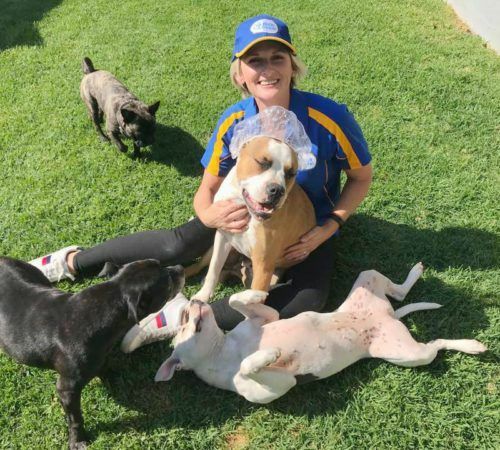 I have also worked with horses over the last 15 years and I feel these previous experiences have taught me a lot about being patient and dealing with different personalities, temperaments and prepared me well for my life in pet care. Thanks , Chris will be in touch with you soon! John is great. I rang on Saturday 22/12/18 at 5:30pm and even though he was finished for the year, he came out and washed my staffy x and did an awesome job and made Zak feel so comfortable that he started giving John kisses. I couldn't have asked for a better service. Very friendly and convenient service, my dogs were in great hands and look great with their new haircuts. We would recommend our groomer Chris to anyone. All quodos to Chris for giving Sammy a new look, she did a WONDERFUL job! As the new owner of a giant labradoodle, we were a little nervous about finding just the right person to help us to look after our new family member. Megan immediately put our mind at ease, and within minutes Bear was sprawled out, relaxed and loving his little spa day. We will absolutely ask for Megan again in the future... Thank you SO much! MEGAN the franchise owner has nothing but reliable and quick service which Aids in diminishing my disabilities, she has a great repot, with both myself my wife and my dog Bob. Megan is an asset to blue wheelers and The dog grooming community, with an honest and genuine care for not just my dog but majority of dogs owners I talk to whine are her customers, my dog Bob is an assistance dog registered with the Australian Young Diggers and he is more than comfortable when he sees the big blue dog, pull up out the front, he can't wait to see Megan, and jump in and have is bath and clip. he even spins, his head when we drive past her van when we are out and about.